This entry was posted on March 18, 2017 by admin. Linderman Unleashed Radio Show March 28th 2013 Broadcast. 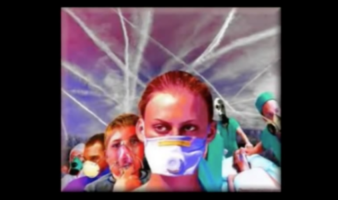 Curt Linderman speaks with Dr. Blaylock about the devastating health effects of the chemtrails and geoengineering programs which have been implemented in secret without public consent. The Internet is littered with stories of "chemtrails" and geoengineering to combat "global warming" and until recently I took these stories with a grain of salt. One of the main reasons for my skepticism was that I rarely saw what they were describing in the skies. But over the past several years I have notice a great number of these trails and I have to admit they are not like the contrails I grew up seeing in the skies. They are extensive, quite broad, are laid in a definite pattern and slowly evolve into artificial clouds. Of particular concern is that there are now so many ­dozens every day are littering the skies. My major concern is that there is evidence that they are spraying tons of nanosized aluminum compounds. It has been demonstrated in the scientific and medical literature that nanosized particles are infinitely more reactive and induce intense inflammation in a number of tissues. Of special concern is the effect of these nanoparticles on the brain and spinal cord, as a growing list of neurodegenerative diseases, including Alzheimer's dementia, Parkinson's disease and Lou Gehrig's disease (ALS) are strongly related to exposure to environmental aluminum. Nanoparticles of aluminum are not only infinitely more inflammatory, they also easily penetrate the brain by a number of routes, including the blood and olfactory nerves (the smell nerves in the nose). Studies have shown that these particles pass along the olfactory neural tracts, which connect directly to the area of the brain that is not only most effected by Alzheimer's disease, but also the earliest affected in the course of the disease. It also has the highest level of brain aluminum in Alzheimer's cases.